In my adventures sampling cuisines from around the world, I found a lot of the exotic is closer to home than we think. Particularly in supermarkets, it has become common to have one or perhaps a few aisles dedicated to international foods. You might occasionally browse the aisles and spot your favorite foreign spices or grab a pack of jasmine rice. However, one area of the shelves AU students might be missing out on is the foreign snacks. These gems range from the strange, the surprising and the delectable. While you might not fall in love with all of these, some have become a hit. Though I cant decipher the hieroglyphs on the packaging or the exact ingredients, they have always been a key ingredient in the sampling process. Here are my top picks and the ones I’ve tried in the past year. Most of these are found at local supermarkets like Walmart, Superstore, and Safeway. You may have had dry roasted peas, but in terms of flavor, wasabi peas knock your taste buds out of the ball park. While I’m not personally a fan of wasabi, the peas themselves give a distinct spicy kick that can hard to put into words. I gave it a lower rating because theyre a snack for special occasions rather than an everyday treat. Whether it’s entertaining your guests after dinner or for yourself when your sinuses clog after a flu, wasabi peas will never disappoint. Unlike the others on the list, this snack requires some post-purchase processing before theyre ready to eat. 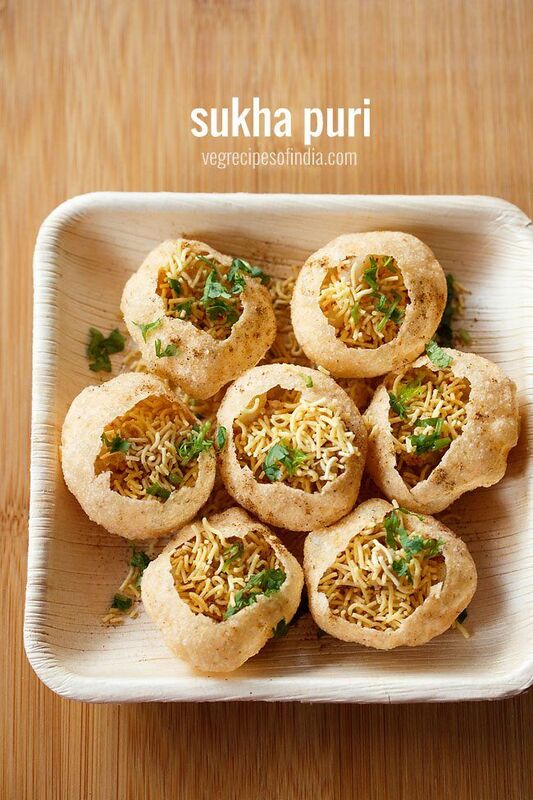 The Sukha puri appear to be empty shell-like puffs that have little seasoning when eaten alone. However, this snack is easily customizable to include coriander, mint chutney, mashed curry potatoes and more! The versatile nature of this snack makes it both fun and simple to create. With help from spice packs and herbs, the snack makes for a delicious treat. My childhood memory is incomplete without these rice crackers found everywhere in supermarkets in Shanghai. I personally adore the crispy rice crackers with seasoning that overloaded my taste buds. For AU students, these are a top choice for study snacks as the chewing helps work your facial muscles, which helps you stay focused for longer. I was skeptical when I tried these for the first time. Not only did I not understand the packaging labels, it looked like a mashup of noodles, rice crispies, and raisins; a combination I was reluctant to sample. However, I was pleasantly surprised by complex flavors in this snack featuring a mix of sweet, spicy, and savory that blends perfectly. When I saw mango and cookies in the same phrase, I knew I needed these snacks after a long day at the library. The cookies itself were light, non-greasy. Sandwiched between two cookies sat a rich mango creme that provided a mildly sweet filling to the otherwise bland cookies. While I was a fan of the concept, the creme tasted rather artificial. However, I found the experience much more enjoyable than eating a pack of boring Ritz sandwich crackers.